South Korean technology giant Samsung will be launching its much-awaited foldable phone, which may be called the Galaxy F or Galaxy Flex, along with its Galaxy S10 smartphones next week. 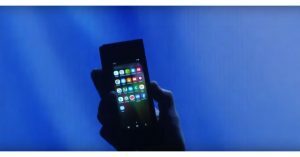 The company has posted a 27-seconds long teaser video on its official YouTube channel which points towards the possibility of Samsung Galaxy F launching on February 20 at the smartphone maker’s Unpacked event. The video has been titled ‘The Future Unfolds’ and shows animations of a folded screen. The video then goes on to show ‘02.20.19’, which basically is the date February 20, 2019. So, this confirms that Samsung will be launching its foldable phone at its Unpacked event that is scheduled for February 20. While the teaser confirms the launch of Samsung Galaxy F, it gives out no other information about the smartphone. We also don’t know yet whether the smartphone would be launched commercially or it will only be teased at the event and be made available for sale at a later date. 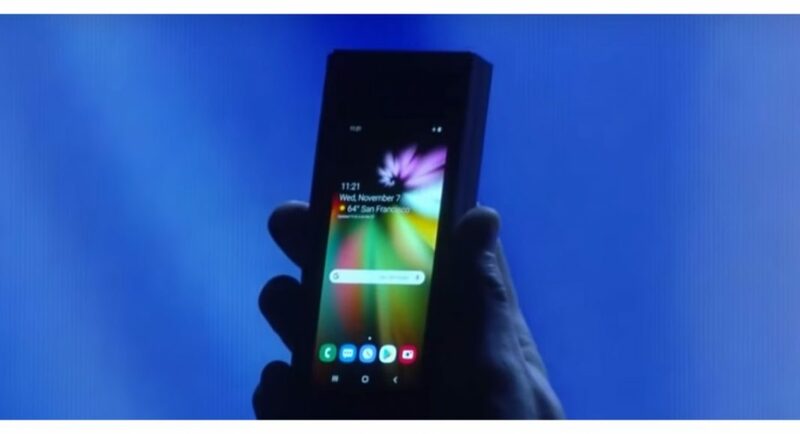 The South Korean technology giant had earlier given a glimpse of its Samsung Galaxy F foldable phone at its developer conference in November last year, following which the device was also shown to a select audience at the CES 2019 in Las Vegas. At its developer conference, Samsung showed a prototype device that worked as a tablet as well as a candy bar phone and said that the consumer product will be launched in 2019 and its mass production would begin in the “coming months”. Even though the foldable phone is set to launch as soon as next week, very little information about the specifications of the smartphone is available online. But it is being speculated that Samsung Galaxy F will come with top-of-the-line hardware and will hence, be expensive. Some reports have suggested that Samsung Galaxy F will cost more than $1,500 and if this is true, it will be the most expensive smartphone by the company till date. 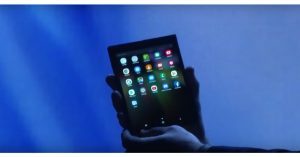 It has also been reported that Samsung will be launching its Galaxy F foldable phone on February 20 ahead of its original schedule to stay ahead of Huawei, which may showcase its 5G foldable phone at the Mobile World Congress, that is scheduled to begin on February 24 in Barcelona. MWC 2019 may also see Oppo and Nubia announcing their respective foldable phones.